Main Line Helicopter LLC acquired the manufacturing and distribution rights for Helicopter Handler™ from Jacques C. Guequierre in October 2013. Main Line Helicopter LLC is a woman owned Alabama Company formed by Sherry W Hadley, President and Howard K Hadley, Vice President. Sherry and Howard have been involved with the Helicopter and Aerospace industry for over 30 years. Sherry served as the Executive Director for the Airborne Law Enforcement Association for over 15 years and continues to manage their meetings and exhibitions in North America. Howard served more than 27 years with the Tulsa Police Department, with half of his Law Enforcement career as the Commander of the Police Aviation Unit. Howard retired from Law Enforcement in 2000 and has since served as the Chief Executive of two different aerospace companies. Jacques C. Guequierre formed Mainline Helicopter Corporation as an air taxi service company. He then saw the need for a device that would allow one person to move a skid-equipped helicopter. Four models were developed over time to accommodate a wide range of helicopters. Jacques C. Guequierre, a veteran helicopter pilot and owner, began building HELICOPTER HANDLER Helicopter Trailers in 1967. We aspire to provide the same quality products and support that Jacques’s clients have come to expect. 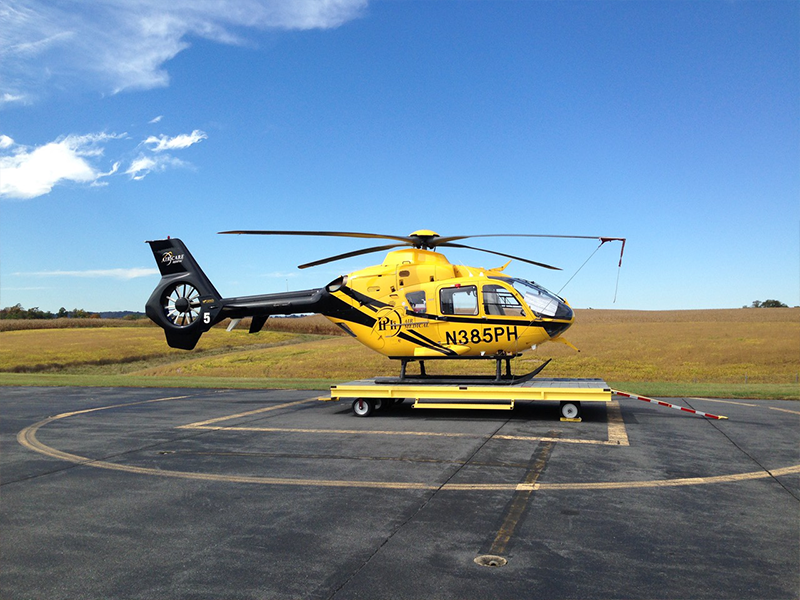 Clients using HELICOPTER HANDLER Helicopter Trailers have been dolly-related accident free for 50 years. 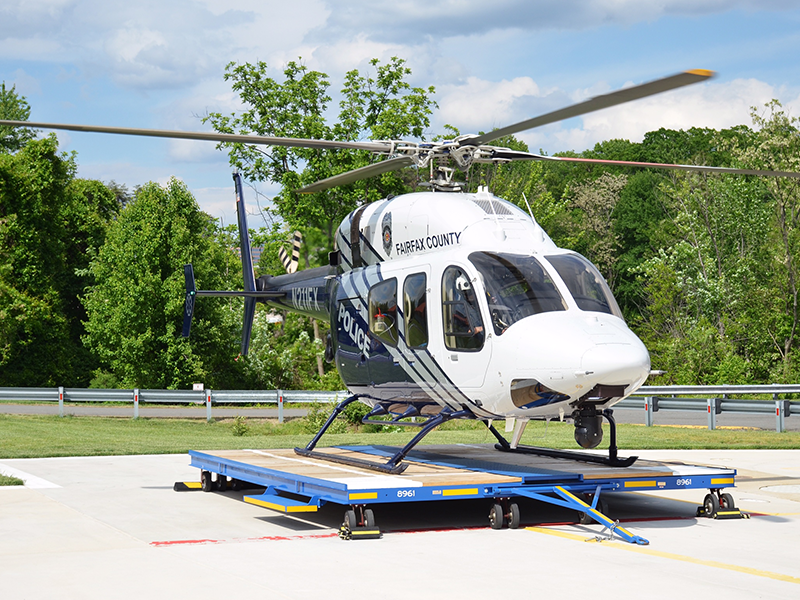 Considered an industry standard by various law enforcement and government agencies, HELICOPTER HANDLER Helicopter Trailers are overbuilt and continuously improved for maximum safety and ease of movement with minimal staffing.